I’m pleased to say that our latest game is released. 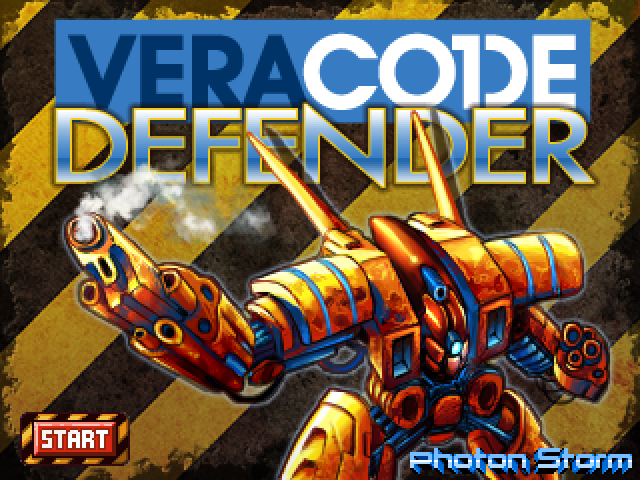 Veracode Defender is a Flash retro-styled tower defence game. It was a departure from our normal titles in that we made it specifically for a client, something we’ve never done before. It all came about via a casual tweet between ourselves and Melissa, a chiptune composer and NES fan (yay!) who works forVeracode. 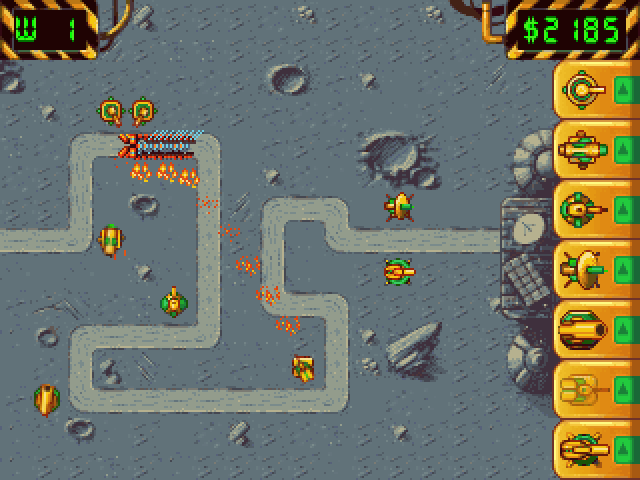 They were looking for a tower defence style game to help promote their security services. The deadline was a bit insane, but we pulled it out of the bag and delivered on-time. 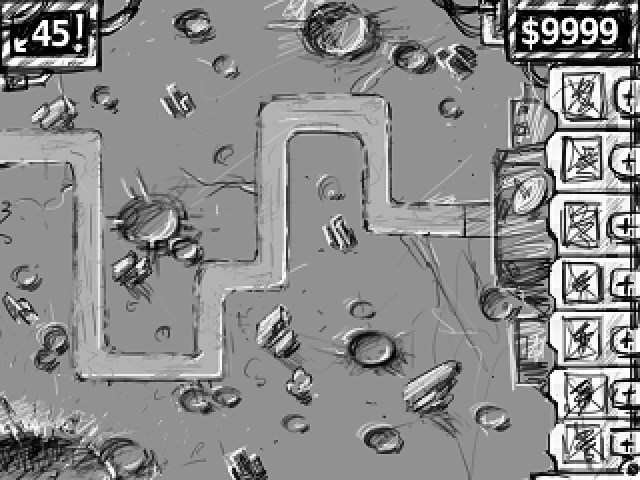 Having never written a tower defence game before it was a challenge, but a good one to under-take. And I now have a new-found respect for developers who churn out TDs by the bucketful, because believe me – balancing those game is far from easy! The graphics were created by Diego, who I had met at Aardman where I work. He was a matte painter there, creating stunning backdrop scenery for our latest film The Pirates! In an Adventure with Scientists (do watch the awesome trailer! the film is out this month). Anyway he felt like taking on the challenge of moving from gigabyte sized Photoshop files down into 16×16 pixel sprites. So off we started and literally 10 days later the game was finished. 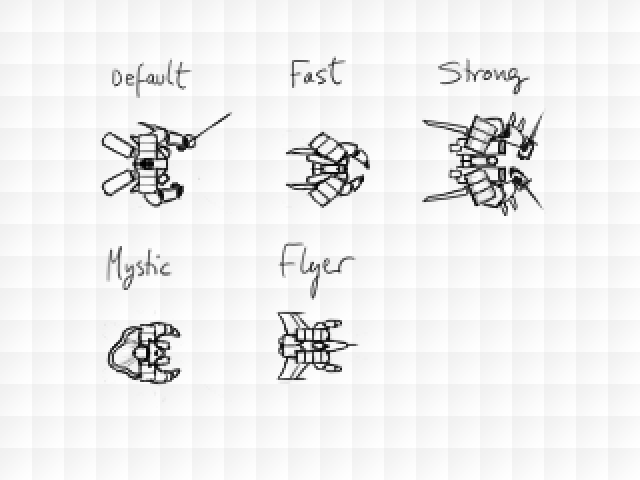 There are lots of things I’d like to do with the game to improve it of course. 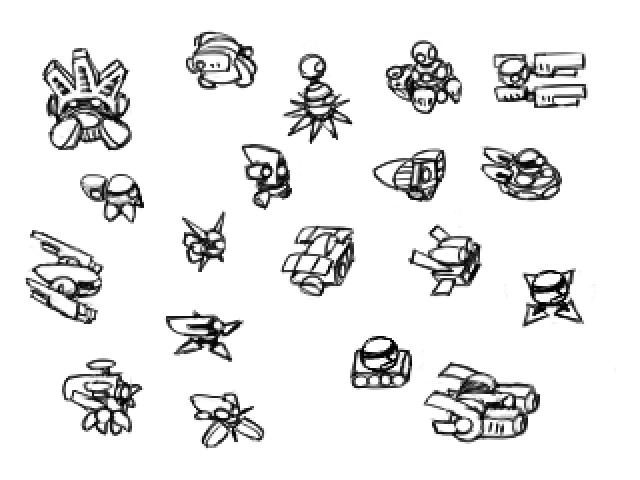 The ability to upgrade and sell turrets for example, lots of different maps to play on and I also really wanted robots that could destroy your turrets! But you have to draw a line somewhere, and a really short deadline enforces that for you which means you work with what you’ve created so far, and don’t let feature creep sap your enthusiasm for finishing. I hope you found the sketches interesting. And of course feel free to play the game too! Posted on March 1st 2012 at 11:08 pm by Rich. Very cool, nice polish. Man those planes are tough! I’m having some fun with this, and it looks great! I wouldn’t mind some more BGM while in game, but aside from that, the sound is awesome. 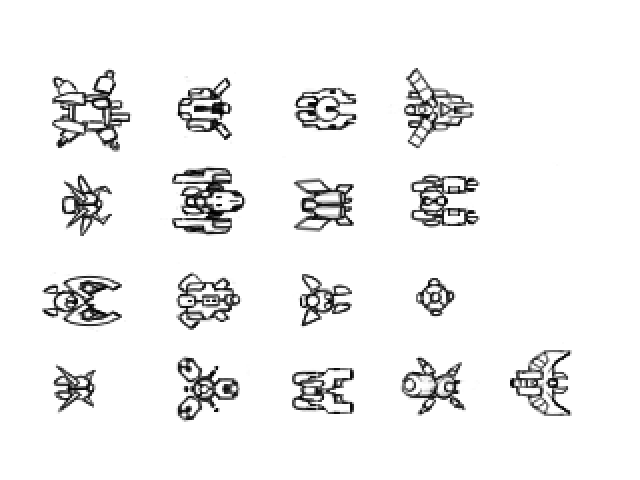 Did you guys bake those rotations in for the sprites or do them by hand? 10 days is ambitious for something this polished. I can’t stop playing and I have deadlines of my own to make! That glorious Firewall – I wish I could use it for more than one level! Also, Diego did a great job, from the screenshots above I was kind of on the fence, but in gameplay everything looked tremendous and well thought out. Looks really nice and for 10 days is an amazing piece of work – was this 10 days full time or part time? 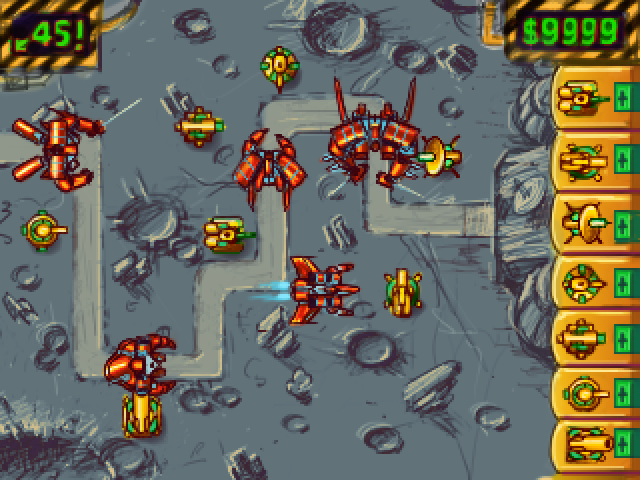 I am a TD fans, very like to play this game, at first I bought 3 turret, but to play second off, on the end of the. Feel the game as a whole is quite good, smooth sound, scene, jitter effects, all of this is simply marvelous, I will play this game. It looks great. 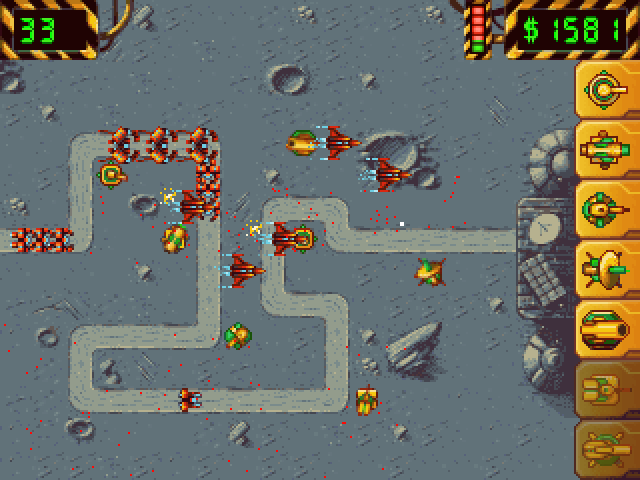 Just a question, the path for the enemies, did you use a grid and have them march through the grid or did you use a* path finding?